In Allen County, nearly 1 in 4 households earn an annual income above the Federal Poverty Level, but below the basic cost of living. These households do not earn enough to make ends meet, but because they are employed they often make too much to qualify for government and private assistance programs. These families are working hard but struggling to survive. ALICE households represent a vital part of Allen County. The entire community is affected by the challenges that ALICE families face. As those challenges are minimized, the entire community benefits. ALICE-population adults hold jobs that are critical to the success of Allen County. These are your child care workers, laborers and movers, home health aides, heavy truck drivers, store clerks, repair worker, and office assistants – yet, they aren’t sure if they’ll be able to put dinner on the table each night. Indiana United Ways has partnered with Rutgers University and 18 other states to bring data-driven research about ALICE to communities. The 61 members of the state association are mobilizing resources and investing in services to support families–that includes a commitment from United Way of Allen County. 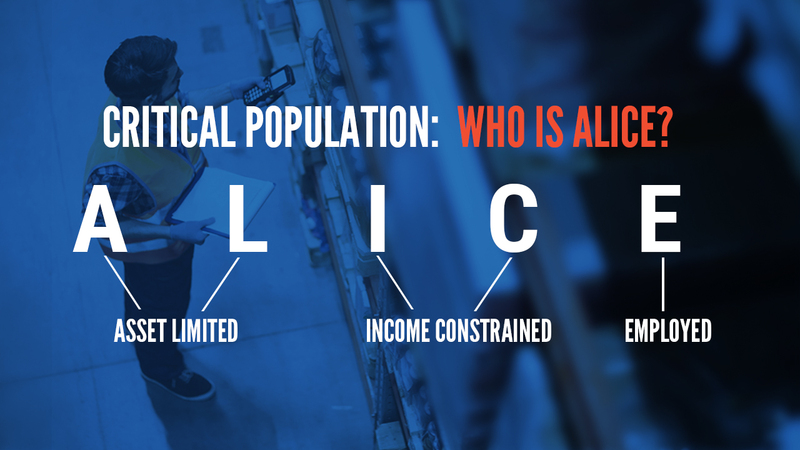 When ALICE and poverty level households are combined, 36 percent of households in Allen County fall below the threshold for financial stability. While some of these families may be working more than one job and can cover the basic necessities, there is no room for emergencies, savings, retirement, or education. On My Way Pre-K | Offered to incoming kindergarteners with little to no prior pre-k experience, English language learners, those qualifying for free or reduced breakfast/lunch eligibility and/or children identified by school staff as at risk for falling behind their kindergarten classmates. Agency Investments | By investing in local non-profit programming, United Way is addressing gaps in job skills training, youth mentorship, transportation, etc. If you are an ALICE household and need assistance, dial 2-1-1 or visit myunitedway2-1-1.org.